Fill in the form below and send us your details. We will get back to you as soon as possible. 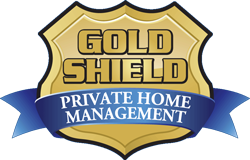 Gold Shield Private Home Management currently services properties along the New Jersey Shore throughout Monmouth County. For a complete listing of all the towns we service in New Jersey click here. Enter your comments.Minimum number of characters not met. * Type the word (ALL UPPERCASE) into the Security Code box: Type in the Security Code. Thank you for taking such good care of our home while we winter in Florida. It makes the stay there much easier when we know that you are looking out for us like you do. Thank you very much. We really appreciate the care that you take with our house.